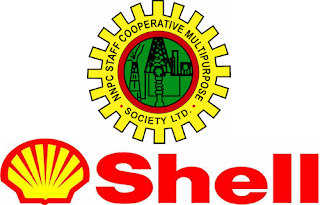 Apply for the Shell Petroleum Development Company of Nigeria Limited, SPDC Joint Ventures, JV 2020 Cycle of Sabbatical Attachment for University Lecturers Nationwide. Applications are invited from suitably qualified candidates for the 2020 Cycle of Sabbatical Attachment for University Lecturers in Shell Petroleum Development Company, SPDC. The sabbatical attachment offers university lecturers from the rank of Senior lecturer and above, opportunity to undertake research or other activities that would contribute to Shell Companies in Nigeria. It also offers them avenue to acquire industry-related experience and lectureship at any of the SPDC JV Centres of Excellence (CoE). RECOMMENDED: 2020 Shell (SPDC) Postgraduate Research Internship for University Students. Environment: Impact Assessment, Biodiversity, Environmental Management, and Ecotoxicology/Biostatistics. Community Health: Consultant Obstetrics & Gynecology and Pediatrics. Oil Spill Response: Groundwater Remediation and Mongrove Replanting & Management. UniBen CoE: Geology and Petroleum Engineering. Nigerian Content Development: Process and Project Engineering. A duly signed one-page application letter slating team/discipline of interest. A titled one-page summary of how the candidate intends to add value to the SPX's business during the 12-month sabbatical attachment. Scanned copy of the data page of applicant's international passport or National Driver's Licence. Applications from persons who have previously benefited from the sabbatical leave attachment in any Shell Companies will not be considered. Applicants must have relevant teaching and practical experience in indicated disciplines. NOTE: All applications should be sent to: SPDC-University-Relations@shell.com no later than April 15th, 2019.